If they look anything like the UX 250h Custom, we'll take them. 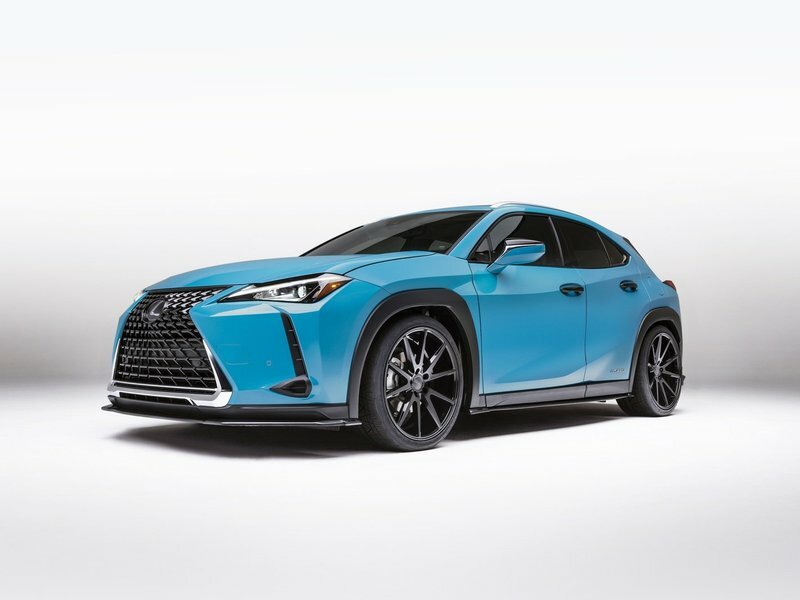 We've driven our fair share of Lexus vehicles, and the ones in F Sport or F performance trim are especially loveable thanks to their racier styling and sportier performance and handling. The RC F is one of our favorites thanks to its burly and powerful V8 engine. Now, it seems Lexus is considering adding F models to the NX, RX, GX, LX and brand new UX. They could be onto something here. Nothing has been confirmed, but Motor1 reported that Lexus's vice president of product planning and strategy stated, "It's a topic of "active conversation." Though that statement is pretty vague, the move makes sense as crossovers and SUVs are selling far better than coupes and sedans, and there's no question that other carmakers have been building performance SUVs since Mercedes added the AMG treatment to their M Class, and BMW made the X5 and X6 into bona fide Motorsport versions. The UX, NX, and RX crossovers would look pretty tantalizing with quad tailpipes, more aggressive aerodynamics, and more opulent interiors festooned with carbon fiber. It's kind of hard to imagine heavier, taller LX and GX versions in F performance trim, but we could see both of those rather dated models benefitting from updates if Lexus isn't going to totally redesign them soon. Those two are primarily off-road body-on-frame SUVs that might do better with beefier components for better off-pavement capability. Musician Will.i.am designed this custom NX F Sport. We could see this selling well as an F.
Whatever the case, we're curious to see what transpires from the Japanese luxury brand. Though most of the models won't get a powerful, naturally-aspirated V8 like the RC F or the GS F (there probably isn't room under the hood of the smaller crossovers). Plus, the highest performance UX is a hybrid, which cuts against the naturally-aspirated flavors of the current F models. The move would certainly add another dimension to the Lexus lineup, and we'll definitely get in line to test them if this does happen.